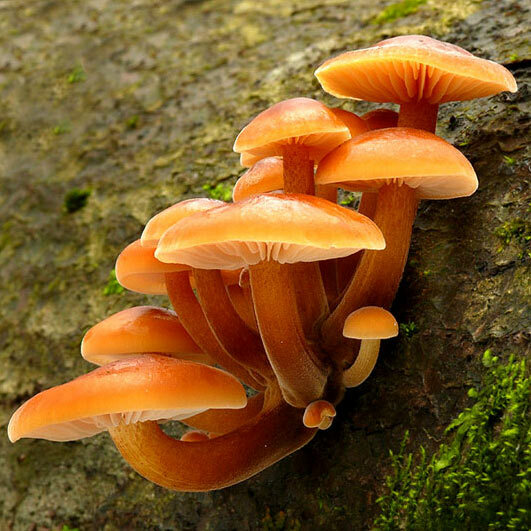 They say prevention is better than cure, and Flammulina Velutipes is proven in many clinical studies to significantly reduce the overall "Odds Ratio" for incidences of cancer. A common culinary mushroom, Flammulina Velutipes was the second earliest mushroom known to be cultivated artificially and is now known to be a strong immune system regulator, containing high amounts of Beta Glucans. The Golden Needle has also shown to be hepato-protective (Liver protective) and also promotes our natural ability to produce anti-oxidants, which neutralise cell-damaging free-radicals in the body. Enokitake contains high amounts of amino acids, which help body tissue regenerate, including valine, which has been shown to inhibit the growth of Ehrlich ascities tumour and sarcoma 180 in mice; and lysine, reported to increase body height and weight. Enokitake has been shown to help gastric ulcers when taken for a prolonged period of time (over a month). Disclaimer: Active Health makes no health claims for any products on our site in relation to cancer or other serious illnesses. If you are concerned about such conditions please consult your Doctor / GP. Active Health food supplements are intended to supplement and support your organism, not cure life threatening conditions.